Can’t remember how I got to this page in the first place, but I’ve just the last hour digging into the musical history of two guys from Pennsylvania. Brian Miller and Peter Musselman met in junior high, but never really sat down to record music together until they attended the same college. They’ve been The Speakers since ’99, they apparently written over 400 songs and put out multiple records. They now live in San Francisco. I keep palying a song here from their myspace page called A Cradle Song, off Yeats Is Greats. 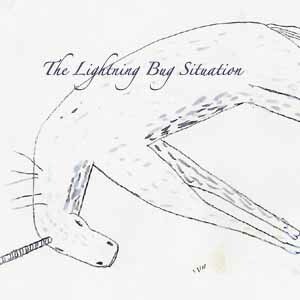 The solo project of Brian Miller is The Lightning Bug Situation. Check out this track Mary Denardo. Its like M83 came in on the end of the track. Sure, these songs might be a little depressing for you this tuesday. But music has that time and place to it, nothing else sounded right at 1:12am here.